The Central Information Commission has directed the Ministry of External Affairs (MEA) to make public the information about travel bills relating to Air India generated on foreign trips undertaken by the nation’s Prime Ministers for financial year 2013-14 to 2016-2017. Manmohan Singh was India’s Prime Minister from 2004 to 2014. He was succeeded by Narendra Modi on May 26, 2014. Chief Information Commissioner Radha Krishna Mathur directed the MEA to share the information with RTI applicant Commodore Lokesh K Batra within 30 days. While Commodore Batra stressed that the information should be made public since Air India is a cash-strapped airline and delay in settling these bills would also include sizeable interest figures, which needs to be paid at the expense of tax payers’ money, the MEA pleaded exemption saying the information sought by him is scattered in various files and the collation would involve diversion of its resources, thereby affecting its normal functions. “This Commission observes that payment of outstanding dues would ultimately require collating of these bills/invoices. Even if payment was made against these bills, it would have been done after compiling of bills/invoices. Further, whatever payment is to be made, it needs to be done after collecting the bills/invoices. In view of this, the Commission is of the opinion that the respondent (MEA) should provide to the appellant travel bills relating to ‘Air India’ from FYs. 2013-14 to 2016-17,” CIC Mathur ordered. “The respondent is directed to take action…within 30 days from the date of receipt of this order,” he added. Commodore Batra had filed RTI application on June 28, 2016, seeking details of bills, invoices as received in the MEA with reference to foreign visits undertaken by former and present Prime Ministers of India for the financial years 2013-14, 2014-15, 2015-16 and 2016-17. Having received incomplete response to his application and first appeal, he moved the CIC urging that the information be provided to him as it is in the national interest and means much more than just travel details of the Prime Minister since Air India is a cash-strapped airline and pending bills would raise its debt liabilities. Commodore Batra submitted that “he wants the general public to be informed at what stage or with which public authority these bills/invoices are pending for payment as unpaid bills/invoices raised by Air India are likely to raise its debt liabilities. These bills are yet to be cleared”. He added that “Air India is a cash-strapped airline that does not make money. Therefore, delay in settling these bills would also include sizeable interest figure(s), which needs to be paid at the expense of tax payers’ money. The Civil Aviation Minister had opined in June, 2016 that Air India’s books are bad and that in this practical regime, to harmonize the conflicting interest(s), the sought for information should be disclosed to the masses”. 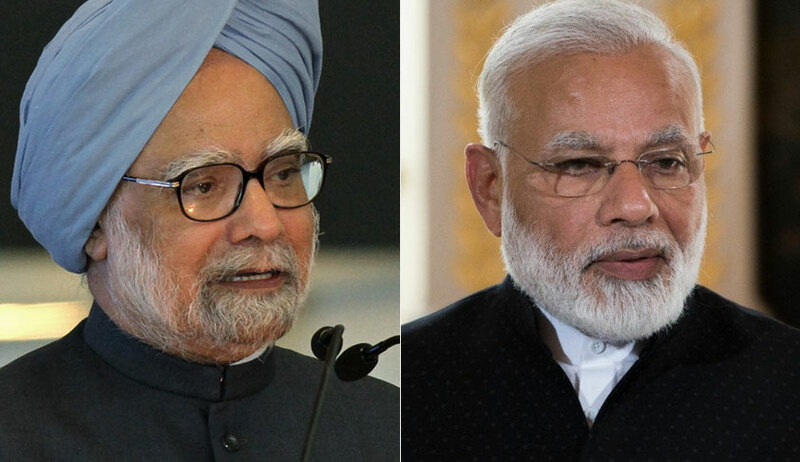 Seeking to know if the bills/invoices are lying with the MEA or the PMO, he had contended that the case rests on a different footing as compared to the ‘travel arrangements’ of the former and present Prime Minister of India. He emphasized that the element(s) of financial propriety, probity and accountability is involved in making payment of these pending bills and expeditious recovery of Air India’s dues from various public authorities is the need of the hour considering tremendous financial stress of the airline and therefore, the information does not attract the exemption available u/Section 8(1)(a) of the RTI Act. The MEA had on earlier occasion submitted before the CIC that the composition of the Prime Minister’s team cannot be revealed to the appellant on ‘national security’ grounds and moreover, budget details are already available on their website, which the appellant may access on the given web-link. It also contended that the information for the financial year 2016-17 has already been provided to the appellant in response to a subsequent RTI application dated 21.04.2017. The Ministry also took the cover of Section 7(9) of the RTI Act as it contended that details of amount, reference numbers, dates of bills raised by Indian Air Force and Air India for the foreign visits undertaken by the Prime Minister is scattered across various records and files and collation of information in the manner sought by the appellant would involve searching of voluminous records by a significant number of officials which would disproportionately divert the resources of the public authority from the efficient discharge of its normal functions. Submitting that it has due regard for Commodore Batra’s objectives, the MEA said it has been receiving RTI applications regularly in a chain from him, that too sometimes on a single subject, which involves considerable manpower and resources of the ministry.